Imported pages from mediawiki that were linking to "redirects" come across broken since the redirect isn't in place. Example, in mediawiki have a simple page with a link to page ABC. 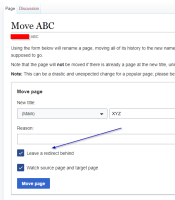 When you move/rename page ABC to XYZ, you have the option to leave a redirect behind so that the old URL (ABC) doesn't become broken. The page is still linking to ABC but the link is valid since there is a redirect in place. 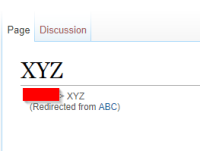 On import, xwiki imports the link pointing to ABC but not the redirect that was in place for ABC that points it to XYZ, thus xwiki believes the link is broken and when clicking the link prompts you to create a new page since it doesn't believe it exists.